Chris is a partner in our first tier planning and environment team who specialises in all aspects of planning and compulsory purchase. His clients are made up of a broad spectrum of companies and individuals with diverse needs. 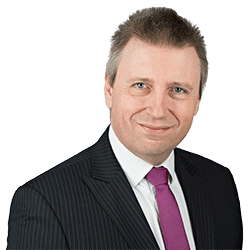 In particular, Chris is involved in large scale developments of new towns and urban extensions but also regularly advises on enforcement matters, Judicial Review, appeals and commons and town or village green applications. Chris joined Clarke Willmott in 2004 after spending ten years working in local government and a further five years at Bevan Ashford. Chris is a regular speaker at conferences and seminars on a variety of aspects of planning law. Working with a joint venture partnership to develop a new settlement of initially 2,900 dwellings in Devon. Advising on numerous large scale housing developments to provide urban extensions. Advising in relation to contentious enforcement matters at inquiry and in the High Court. Advising a local authority on the CPO aspects of a retail-led regeneration scheme in North West London.